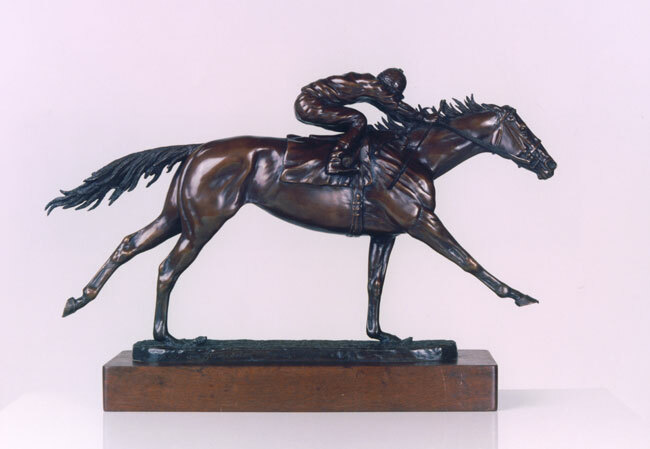 "To the Wire" is one of the finest quality examples of a thoroughbred racehorse at it's full stride. 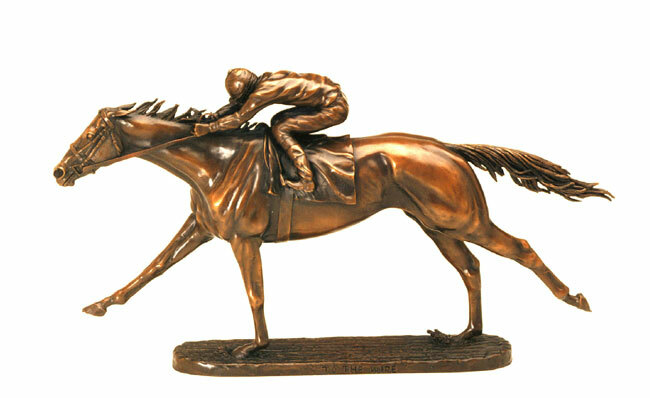 This piece is a hand finished bronze sculpture by Jim Stuckenberg done in a small edition of 30. 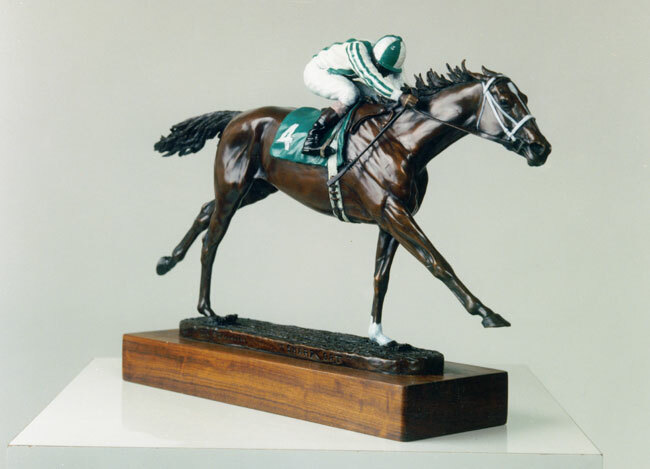 Jim Stuckenberg has perfected this racehorse and hand finished it to the very last detail. 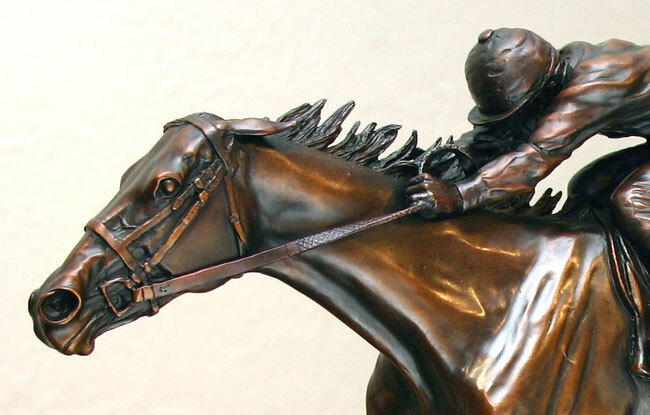 Jim is one of the few artists that knows every inch of the horse from head to tail. 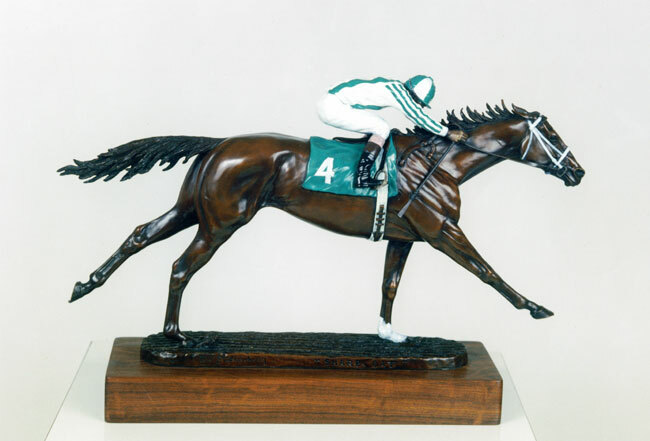 Jim is an accomplished racehorse trainer and breeder. 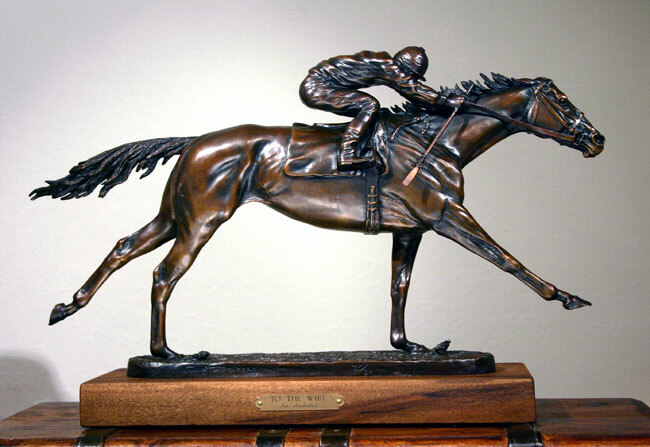 His work is collected by many of the top breeders and trainers of the world including Wayne Lucas, Willie Shoemaker, Prince Shalman of Saudi Arabia. 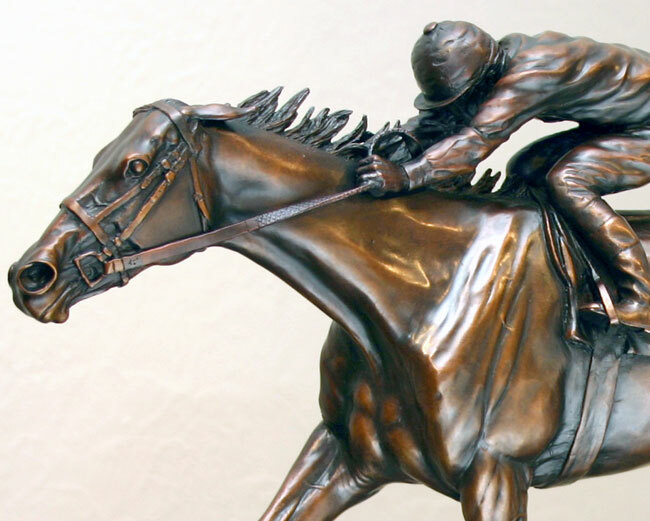 Jim has also commissioned exclusive bronzes for many of the top ranches and racetracks across the nation.